Home › Current Events › What is a Real Apology and How does it Help Your Soul? Many apologies by celebrities and other public figures fall seriously short in sincerity and believability. They’re more of a CYA response than a real apology. But sometimes apologies are real. 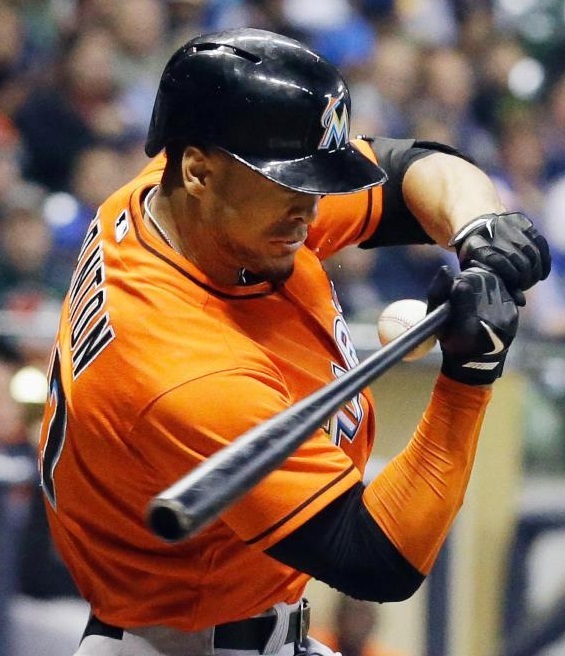 Last Thursday in major league baseball, Milwaukee Brewers pitcher Mike Fiers hit Miami Marlins batter Giancarlo Stanton in the face with an 88 mph fastball, causing facial fractures, lacerations, and dental damage. He likely ended the ace hitter’s season. Clearly rattled, in his very next pitch Fiers hit the next batter in the hand, before being taken off the field. 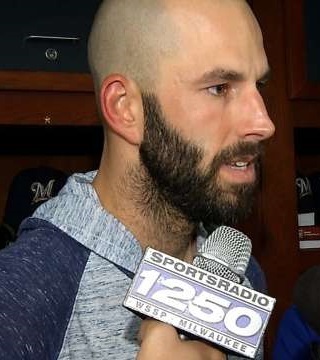 Though tempers flared while all this was happening, afterwards Fiers issued a public apology for the unintentional injuries he had caused. You can read about it and watch an associated video here. 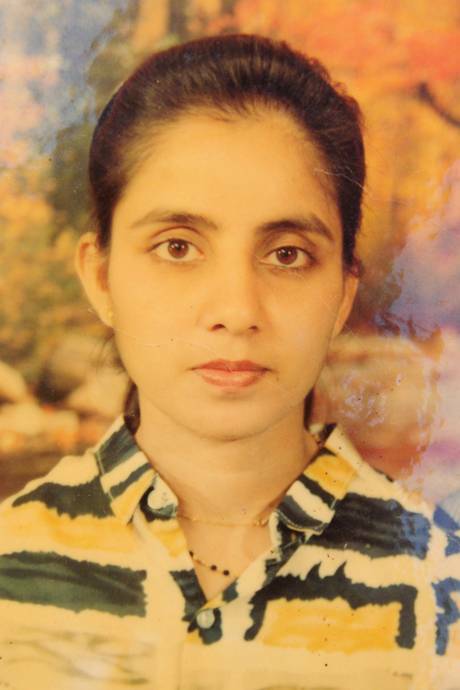 Another public apology occurred on Friday during a long-delayed inquest into the death by suicide of Jacintha Saldanha. 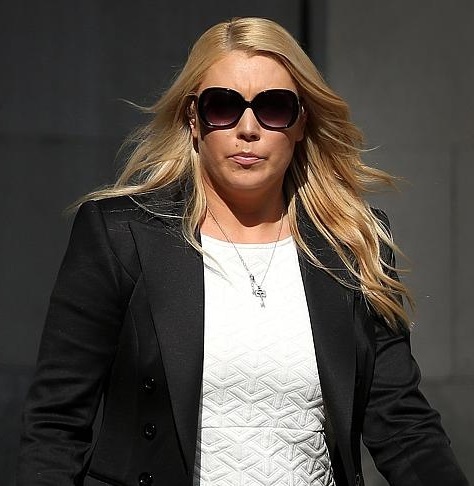 In December 2012, Saldanha hanged herself after mistakenly passing on to the floor nurse a prank call from Australian radio DJs Mel Greig and Michael Christian. The DJs, posing as Queen Elizabeth and Prince Charles, had called the hospital where Prince Charles’s daughter-in-law Kate Middleton was being treated for severe morning sickness during her first pregnancy. When the floor nurse revealed private details of Middleton’s condition, and the story went viral, it proved too much for Saldanha. For our take on the story soon after it happened, see “It Takes a Village to Make a Tragedy.” Now, almost two years later, DJ Mel Greig traveled to England to personally offer a tearful apology for her role in Saldanha’s suicide. You can read the story here. What does make an apology real? Back in June of this year, actor, filmmaker, and comedian Jonah Hill did it right. For an excellent analysis of what makes Hill’s apology such a breath of fresh air amidst a sea of insincere celebrity apologies, see this article. Short version: Hill apologized in person (not by text or tweet), and he did so respectfully, without pumping himself up or making excuses. He stated clearly that what he had said was wrong, no matter why he said it, and apologized simply and directly to everyone affected by such language. So what is a real apology? Short version: If you’re not actually sorry for what you said or did, don’t even bother apologizing. A fake apology is worse than no apology at all. If your main purpose in “apologizing” is to get out of trouble, avoid getting fired, salvage your reputation, or anything else besides actually being sorry for something you did that was wrong, your apology is insincere. Perhaps you’ll do it anyway to save your own skin. But don’t think you’ve actually apologized. You’ve merely engaged in some damage control. A real apology is saying you’re sorry because you are indeed sorry for what you said or did. If you haven’t done anything wrong, why are you even apologizing? We apologize for things we did wrong, not for things we didn’t do wrong. If you don’t believe you did anything wrong, you can attempt to explain your actions and say why it wasn’t wrong. But that’s not an apology. That’s an explanation. If you’ve said or done something wrong, and you are ready to publicly admit to it, that’s when it’s time to make an apology. Once again, if you’re not willing to admit that you’ve done something wrong, just don’t bother apologizing. So maybe there were some extenuating circumstances. It’s okay to say a few words about what was happening or what you were thinking. But then get to the point and apologize for what you did wrong. If your whole “apology” is about how you couldn’t help it and someone made you do it and it’s not really your fault, then once again, don’t bother. If you’re apologizing, you’re doing it because you did something wrong. Don’t make excuses. Take responsibility for your words and actions. That’s what an apology is all about. I’m sorry if someone was hurt. I’m sorry and the other guy did it too. I’m sorry but it wasn’t really that bad. Just say you’re sorry. Period. All those qualifiers and weasel words just make it sound like you’re not really sorry at all—which you probably aren’t if you’re talking that way. If an “apology” is all about saying how epic your failure was, and how epic a bad guy (or gal) you are, somehow it’s a little off, isn’t it? You’re not the baddest of the bad, so get the focus off yourself, okay? If you’ve said or done something wrong, that means you’ve hurt someone. An apology is about letting those you’ve hurt know that you regret hurting them. So don’t focus yourself. Focus on the wrong you did, and your regret about how it hurt people. There’s no better way to assassinate an apology than to go right back and do the same thing all over again. If you apologize for punching someone, and then the next day you punch him or her again, what good was the apology? Fact is, unless you stop doing it, an apology is worse than useless. An apology is all about being sorry for what you’ve done. And if you’re truly sorry, you’ll make the effort to stop doing it. Sure, you might slip up a time or two. But then you have to get back to the business of changing your attitudes and actions so that you don’t keep doing the same thing all over again. How does a real apology help your soul? We are here on earth to form and determine what our character and life will be for eternity (see “Heaven, Regeneration, and the Meaning of Life on Earth”). And every moment of every day becomes a part of that character and life. So the big question is, what will we do with our moments and our days? When we say or do something that is wrong and hurtful to others and to ourselves, we are adding weight to the downward slide of our character. If we continue in that direction, the accumulating weight will form our character into something self-absorbed, acquisitive, and mean-spirited. That will become who and what we are. A real apology is a turning point, small or large, in our life. It can take that weight of downward pressure and turn it around, lifting us up to higher ways of thinking, feeling, and acting. You see, our destructive impulses and actions thrive on darkness. As long as we deny and excuse them, they will continue to grow and proliferate, until they have entirely taken over our life. A genuine apology is like shining a beam of light into that darkness in our own character. A real apology brings into the light the true character of our words and actions. If we have said or done something destructive and hateful, or even just plain stupid and foolish, then apologizing for it means that we recognize that it is destructive, hateful, stupid, and foolish. That gives us the opportunity to turn our life around, and become a better person. In traditional religious terms, apologizing for the wrongs we have done is part of the process of repentance. Now, repentance sounds like an old-fashioned downer sort of word, doesn’t it? But really, it is the key to stopping the downward spiral that we often find ourselves in, and beginning to move upward. In simple terms, repentance is admitting that our life is messed up because we are messed up, and deciding to do something about it. I know, I know. These days we’re all supposed to think positive about ourselves, and have a healthy sense of self-esteem. Unfortunately, if we’re actually sort of a jerk—or a real jerk—there’s just a wee little problem with thinking positively about ourselves. We all know people who think they’re the greatest thing on earth, but are actually insufferable egotists who are painful to be around. And we don’t want to be that person, do we? The fact of the matter is that all of us have, let’s say, less desirable parts of our character. The process of repentance is a direct way of confronting and dealing with those less desirable parts. When we realize that we’re messed up in specific ways, and that we need some fixing, we can then go about the process of fixing ourselves up. In other words, apologies and repentance are not about being all negative and down on ourselves. They’re about recognizing that we have work to do, and things to fix up in ourselves. In that sense, apologizing for our wrongs—being truly sorry about them, and committing ourselves to not thinking, feeling, speaking, and acting that way anymore—is a very positive thing. It is a process of pushing the wrong and negative things about us to the side, and replacing them with new and better ways of living. And that’s precisely what we’re here on earth to do. That is also what it means to become an angel. Angels are not some pre-existing beings created directly by God to be angels. They were all once human beings just like you and me who decided to focus their lives on loving God and loving their fellow human beings most of all, instead of loving only themselves and their own power and possessions. Apologizing sincerely from the heart for the things we have said and done that have hurt others is a key step in becoming an angel. It is a key part of the process of leaving behind the wrong and destructive parts of ourselves, and becoming a new, more thoughtful, and more loving person. So as difficult and painful as it can be for us to finally bite the bullet and ’fess up to everyone about what a jerk we’ve been, the payoff for our soul is huge! That simple, intensely difficult “I’m sorry” can be the start of a whole new upward path in life for us. And that’s how a real apology helps your soul. Great post. I spend a lot of time trying to teach my little ones that the word ‘sorry’ must never be matched with the word ‘BUT’. It’s quite a process but hopefully the early start will result in the genuine and authentic apologies that you’ve described here. Thanks for your thoughts. Yes, it can be a challenge! But giving your children practice in real apologies when they are young will have great benefits for them in the future when they are adult and can do a lot more damage with their mistakes or willful misbehavior. I was hurt by a dear one in my life, who even years after, is incapable of acknowledging the damage done. I’ve not gotten over it. This post brings up the old wound I’d like to heal. Perhaps if I could recall an time when I was equally hurtful to another, I would be able to move on. We easily forget our own failings though. I’ve had the same experience. There is just nothing fun or enjoyable about it. And of course, you and I are not alone. There are millions of people walking this earth who were hurt by people who will never recognize, acknowledge, or apologize for the harm they’ve done. If the damage was deep and serious, the relationship between you and that person is irreparably broken. Unless you must have a continuing relationship due to a common workplace, having minor children in common, or other circumstances that require contact, in most cases the best course of action is to mourn the death of that relationship and move on, cutting off contact and building new and better relationships with new people. Attempting to rebuild that broken relationship will only drag you down. Healing yourself is a separate task. It involves being able to forgive and forget. This is much harder when the other person is not sorry for what she or he has done, and would do it again if given the chance. But it is possible to forgive even then. For more on this whole subject, see the article “Repentance: The Unpopular Partner of Forgiveness” (which is also linked in the For further reading list just above). Achieving forgiveness when there is no apology on the other side will not heal the relationship. However, it will allow you to heal your own wounds and move on, for your own emotional and spiritual wellbeing. P.S. I realize that the linked article doesn’t say much about how to forgive people who have hurt you and are not sorry for what they did. That would be a good topic for a future article!